Companies in a wide variety of industries provide customers with field services as a primary business or as part of long-term customer service and support. Field service operators may include, for instance, manufacturers who offer after-market service, mechanical contractors, and property or utility managers. Depending on the size and type of organization, field services may involve a handful of employees in a local area or thousands of staff internationally. Regardless of whether such field services represent the primary business, a secondary profit center, or a competitive differentiator, organizations with a field service component depend on efficient coordination among distant field employees, dispatch and office staff, and the organization’s collective customer and business knowledge. 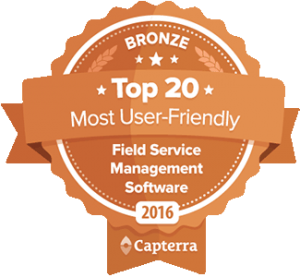 Unfortunately, managing field operations accurately and effectively can be a challenge. Manual processes and uninformed decisions are the rule, not the exception. Inconsistent work practices, lack of, inadequate, or untimely visibility into field activities, and volumes of paperwork hinder efficiency and drag down both customer service and profits. Manual reporting of time and materials use requires redundant data entry, increases the likelihood of errors, and delays planning and billing. In addition, intellectual capital and know-how frequently resides in just one or two experienced people, leaving the organization at substantial risk of operational chaos and loss of intellectual capital if the unexpected occurs. Yet even with the most experienced dispatchers, work-assignment decisions rarely take full advantage of timely data on resource availability, qualifications, service history, optimal routing, work priority, and other demands on the resources. There are simply too many shifting factors to quickly incorporate into a manual scheduling or work assignment process. This is particularly true given the competitive environments of most field service markets, wherein customers are expecting not only faster service and more accurate estimates of arrival and completion times, but also that they “get it fixed” the right way the first time. Despite these challenges, field service operations are often the last part of an organization to capitalize on information technologies. Although many businesses enjoy the efficiency of enterprise resource systems and supply chain automation, those systems rarely extend throughout the management of field operations. Moreover, the gains provided by existing small business software and supply chain systems are subject to the law of diminishing returns. In most organizations, however, field service operations still represent the last frontier for technological innovation. There, process integration, targeted automation, and electronic information can still dramatically enhance productivity, operational insight, and management. You need an end-to-end software automation solution that can efficiently integrate customer, business, and operational information, making that information accessible to both office and field staff as needed for maximum efficiency in work scheduling, assignment, completion, parts inventory management, equipment management, reporting, and billing. Great post! I found this really enlightening as I am in a similar industry so it was great help to learn some new ways to improve my skills.